I got annoyed the other day. I dropped some marks in an online test. It was a test that is marked electronically. The system knows which answers to expect. If you don’t answer the question in the way that was expected, it’s wrong. No arguments! This is fine if you’re doing a maths problem where there is only one answer. But things like reading comprehension, sentence structure, and the steps in which you would carry out a task are a bit more subjective. Maybe it’s a bit ambiguous whether something was actually “false” or just “not given”. Maybe it doesn’t matter if you do step A or step F first, if the results are the same. Maybe there is more than one way to express an idea. The experience made me think. For those of us who are designing learning materials, it’s really important to bear these things in mind. Either you make it possible for ambiguous questions to have more than one correct answer, or you don’t write ambiguous questions. 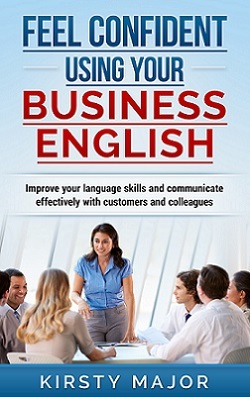 I know that many people who are learning English are doing so because they need to pass a specific language exam. I’m not saying that good language skills aren’t important, but in many cases, passing an exam is as much about your preparation and understanding of how the exam works, as it is about actually speaking and understanding the language. So if you get a result that is worse than you expected, don’t take it as a direct reflection of your language skills. Obviously, people who are more proficient in a language are likely to do better, but there are also strategies that you can learn. For example, if you have to choose the right word to complete a sentence and you’ve never heard of any of them before, try and work out what type of word goes in the gap. If you need a verb and only two of the options are verbs, you can automatically discount the other 2. This is not a skill that we use in everyday language, but it’s a handy skill to have for passing some kinds of tests. Ultimately people need to do what’s required of them to pass the test, but the story doesn’t end there. When you start using a language in everyday situations, nobody is going to be there to give you 100% or a C2. It’s about making connections with others, communicating your ideas, and understanding what others are saying or what’s required of you in real-life situations. In If you’re going to continue to use the language, the exam is just the beginning of the journey – not the final destination. I’m a perfectionist, and I’m certainly not saying that marks don’t matter. I strive for the best marks I can get, but it also saddens me when I see students who usually do well in class, but who are feeling discouraged because they are not as good at doing some of the tasks that we use to test whether someone is good at languages. So, if you’re going to do a language exam, have a look at information about the way in which the competencies are tested. Try some past papers. See which tasks are more difficult for you, and try to figure out why you find them harder. Is it just a question of language skills, or is there some other type of skill that you need to work on in order to pass the exam. I had one student who told me they weren’t good at listening. I found this surprising, because he didn’t have problems listening to me in class. He generally understood what I wanted him to do. However, when doing a listening exam practice, his difficulty was looking for 5 pieces of information at the same time, remembering what he needed to listen out for, listening out for the things, and writing them down. Too much was going on. And let’s face it, how often are we really in a situation in which we need to do all of this? You have to work with the system, and there are techniques both for notetaking and for listening that can help with this kind of problem. But someone who struggles with this is not necessarily bad at listening – they just have more difficulty passing this type of listening exam exercise. Small talk is supposed to put candidates at ease, but for some of my learners, it’s worse than giving a short presentation. A lot of preparation courses spend less time on this because they view it as being easy, but if it’s not easy for you, you need to find some strategies for making it a less daunting task for you. That could be remembering some stock phrases that can be used as long as they make sense. Finding small talk hard or a bit pointless doesn’t mean you’re bad at speaking. And don’t get me started on true, false, or not given problems, and how you can make a case for either “false” or “not given” in some questions! Benchmarks are important to keep things fair and make sure that people are being marked against the same criteria. Whether the type of exam exercise is fair to all learners is another discussion. 1. You might need to pass an exam as a requirement for your job or studies, but if you’re interested in the language, the story doesn’t end there. Don’t let your exam stress take away your interest in learning, or your enjoyment of the language. 2. If you feel that you are underachieving in a specific area (writing, reading, speaking or listening), don’t automatically think it’s because you’re bad at that thing. Is there something about the tasks that you’re being asked to do that you’re struggling with? If so, that’s something that you can work on too, both in terms of devising good strategies and practicing the task. 3. Don’t leave it too late. If you’re going to study for an exam, you might need to try a few different things if you want to find out what really works for you. This is easier if you leave yourself some time, and don’t try to cram everything in at the last minute. Working hard is important, but working efficiently is important too. Don’t keep bashing the screw with a hammer if what you really need is a screwdriver!